Reigning Miss Pacific Islands Anne Christine Dunn today launched a ‘sustainable tourism’ campaign on social media on behalf of the South Pacific Tourism Organisation (SPTO). “Sustainable tourism for me is about preserving and sharing our unique South Pacific islands and cultures with the world. It’s about being responsible as hosts and visitors to our beautiful yet fragile island ecosystems” says Miss Dunn, who is working with SPTO to promote the International Year of Sustainable Tourism for Development. SPTO Chief Executive Officer, Christopher Cocker added, “Our culture, environment and our people are our greatest tourism assets and it is our responsibility to ensure their sustainability. I am pleased that Miss Pacific Islands has joined us in our initiatives to promote sustainable and responsible tourism for not just Fiji but the entire Pacific region”. 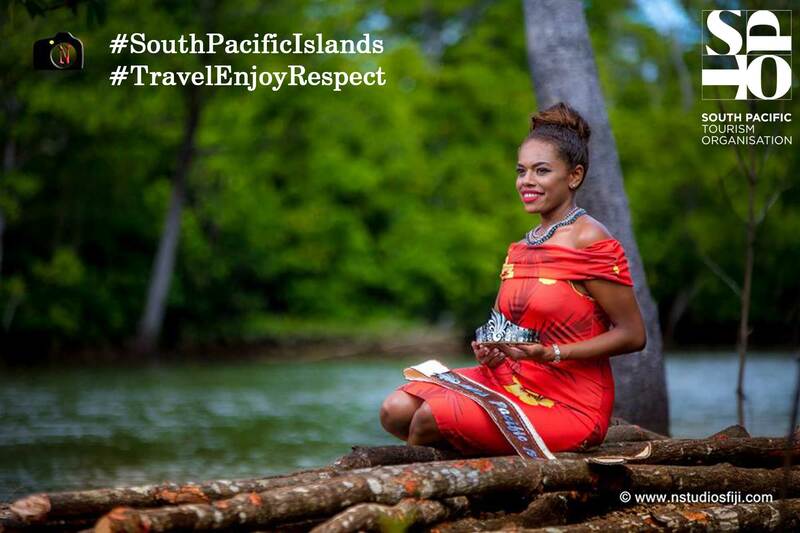 The global campaign asks people in the Pacific and travellers from the around the world to share their thoughts on sustainable tourism through personal photographs, videos, stories and ideas on Facebook, Instagram and Twitter with the hashtags #travelenjoyrespect and #SouthPacificIslands. A trip to the South Pacific is up for grabs and the winner will be announced on May 20 at the South Pacific Tourism Exchange in Sydney. The region’s largest tourism event brings together tourism operators from 16 Pacific Island countries and wholesale buyers from around the world. Based in Suva, SPTO works with 16 Pacific island countries and Timor-Leste to market and develop tourism in the South Pacific region. ← #TravelEnjoyRepect #SouthPacificIslands – Get Social with us!